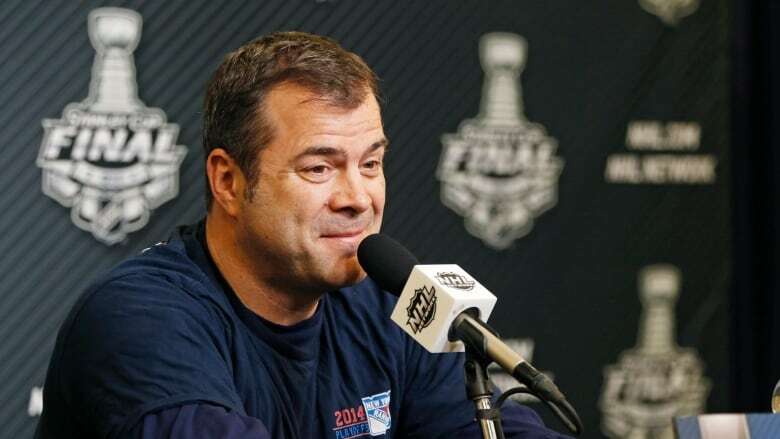 The Philadelphia Flyers have hired Alain Vigneault as head coach, hoping the veteran can help lead them to their first Stanley Cup since 1975. The Rangers made the playoffs in four of Vigneault's five seasons as coach, including a 2014 trip to the Stanley Cup Final. They went 226-147-37 in the regular season under Vigneault, who is third in regular-season and playoff wins in franchise history. Vigneault, who turns 58 in May, has coached 16 NHL seasons for the Montreal Canadiens, Canucks and Rangers. His team made the playoffs 11 times, and he took Vancouver to the 2011 Cup Final. He was named NHL coach of the year in 2006-2007 with Vancouver. The Flyers are franchise in flux with a core of veterans that has failed to win many meaningful games. Those players include captain Claude Giroux, Jake Voracek, James van Riemsdyk and Sean Couturier, and Philadelphia also has a group of promising 20-somethings such as Travis Sanheim, Oskar Lindblom, Shayne Gostisbehere and Nolan Patrick.